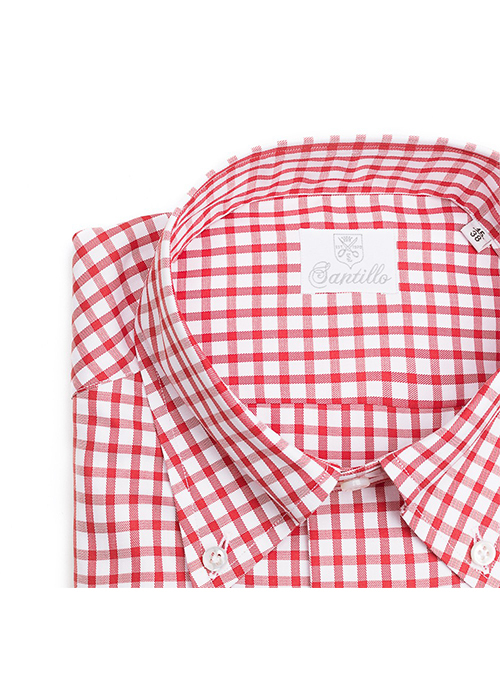 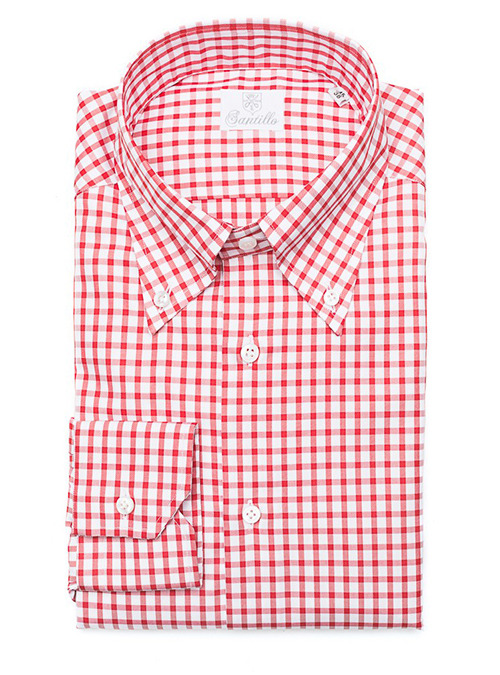 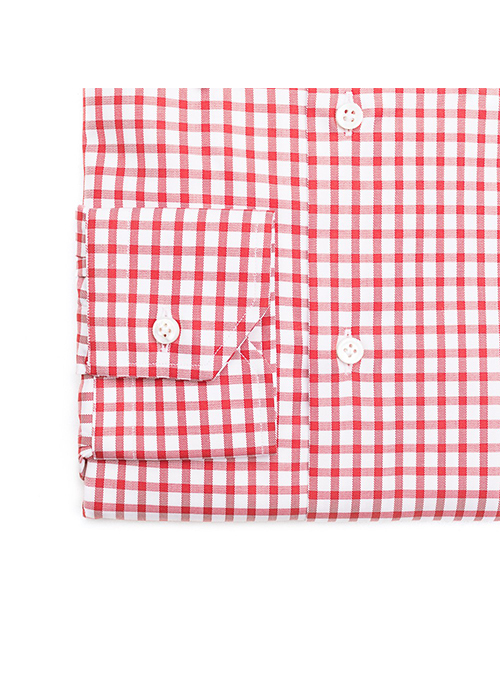 This BUSINESS IN VESPA Red Gingham Check Twill Double Twisted Cotton Shirt is completely Handmade in Italy. 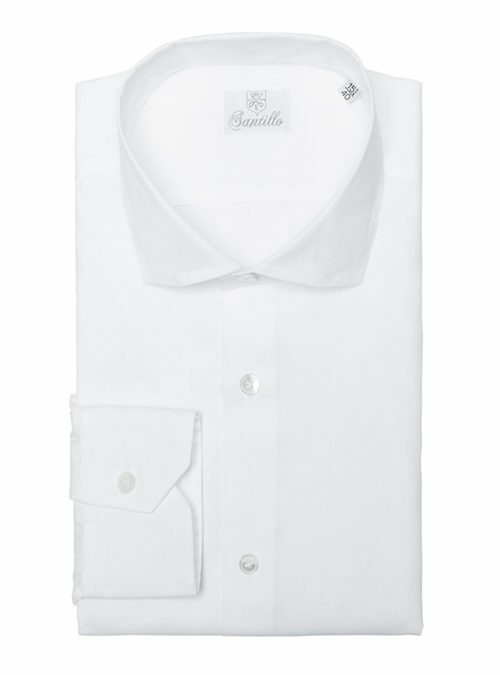 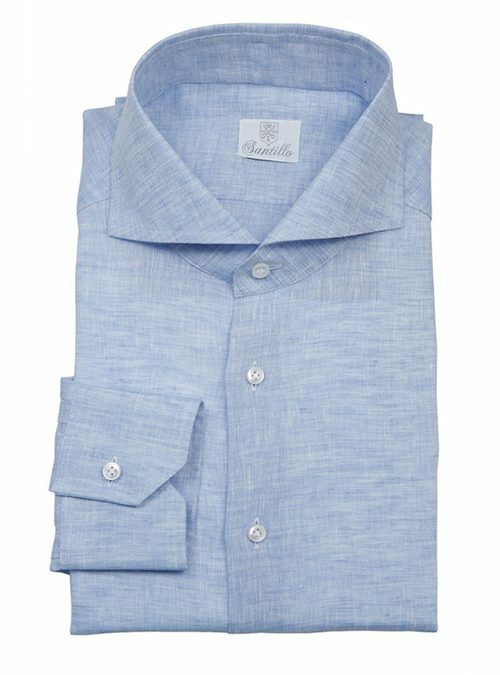 This is one of the most significant Santillo checked items, a versatile and casual shirt ideal to use under a blue or brown wool suit. 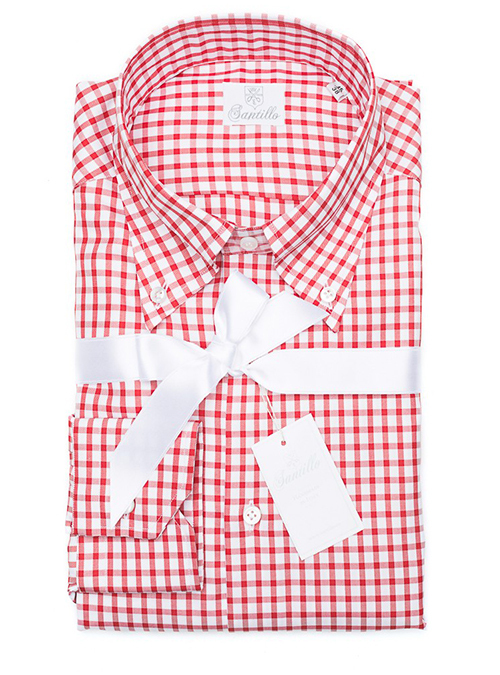 It presents a soft collar slightly pronounced than the classic button-down and Australian mother-of-pearl buttons applied by hand with “lily stitching”. 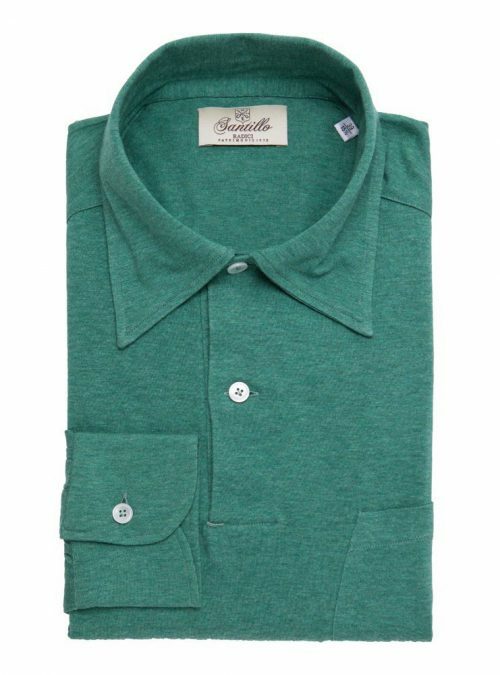 A peculiar detail is the sleeve stitching, that is not in line with the side seam because the sleeve is sewn only after the side has been closed. 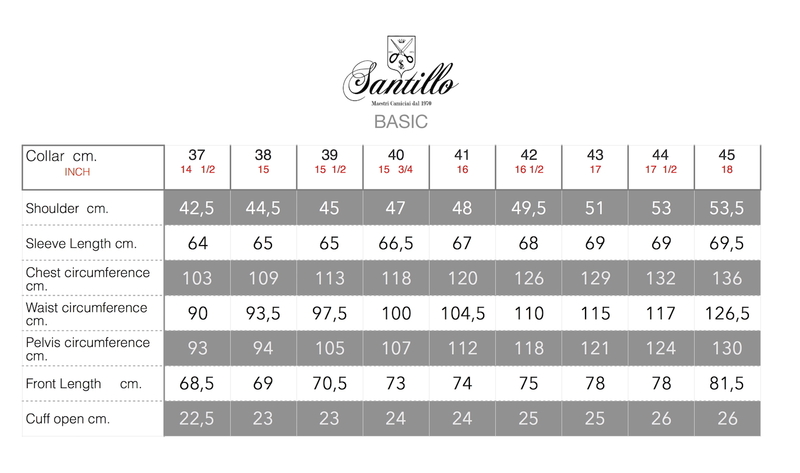 This step is unique and can be done only by the skilled hands of expert artisans.